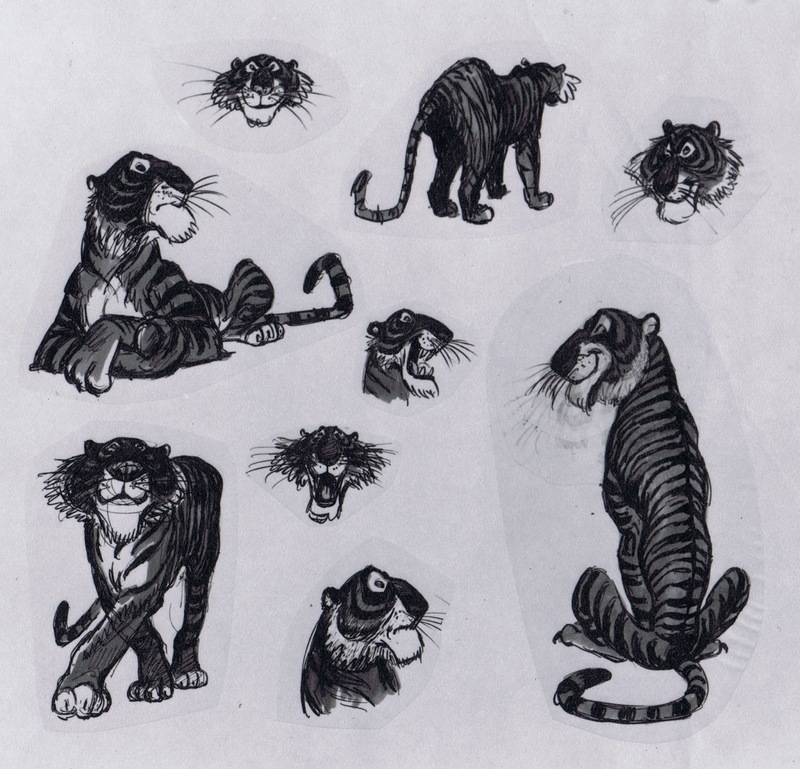 Storyman Bill Peet had done just a few sketches of the villain from The Jungle Book before he departed from the studio. 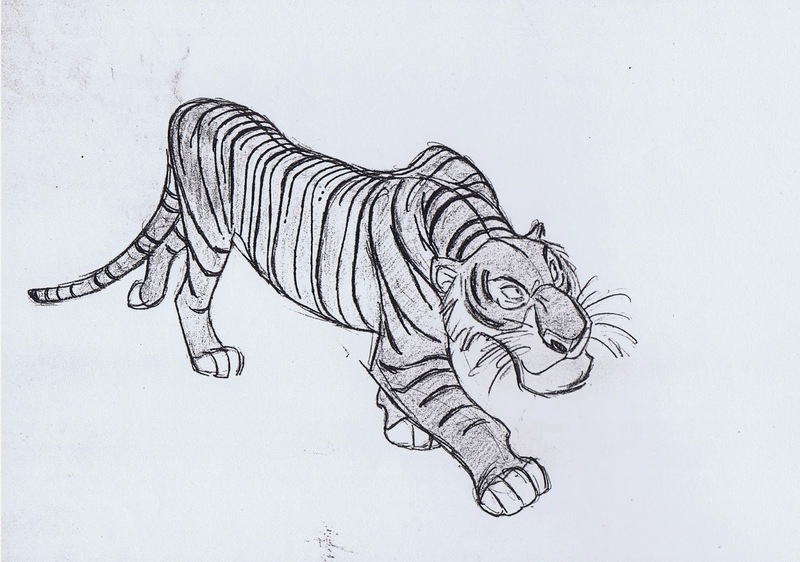 Ken Anderson picked up the pieces and tried to go beyond a typical, evil Disney tiger. 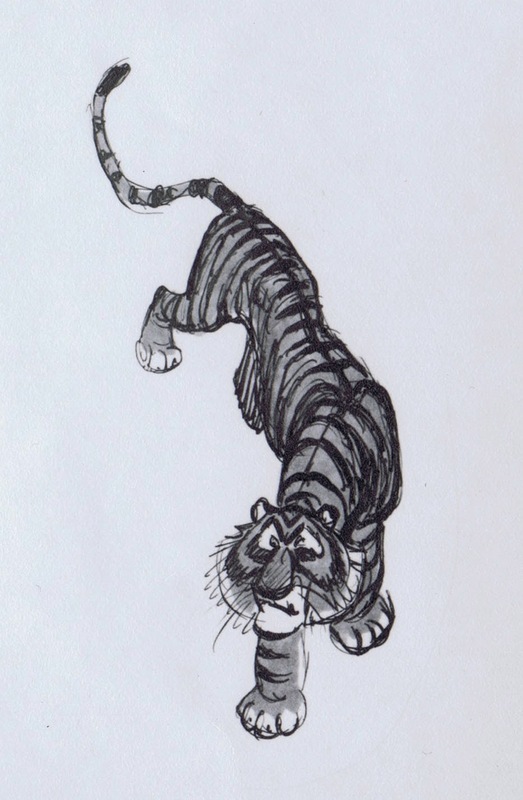 It was his idea to go for personality traits like arrogance, self assurance and sarcasm. 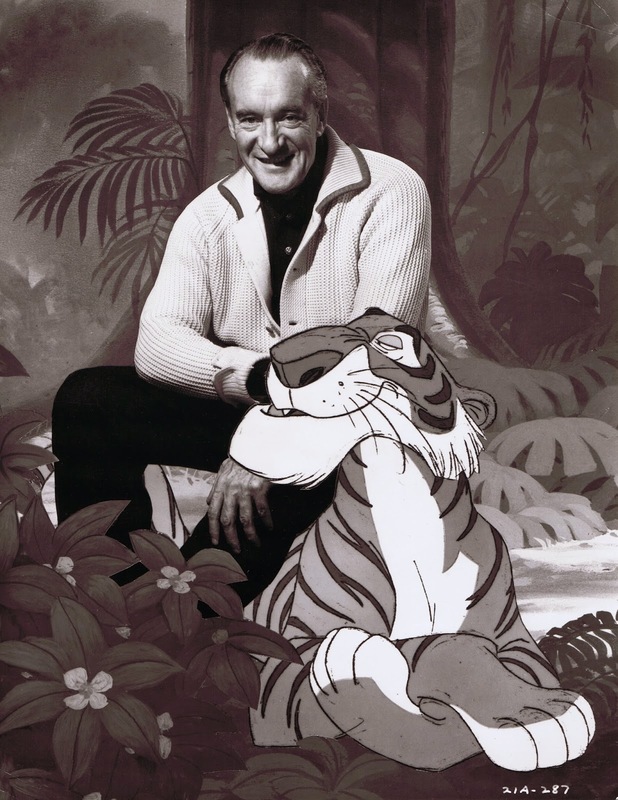 When actor George Sanders was hired to do the voice Shere Khan’s character came to life, and everybody loved the concept. 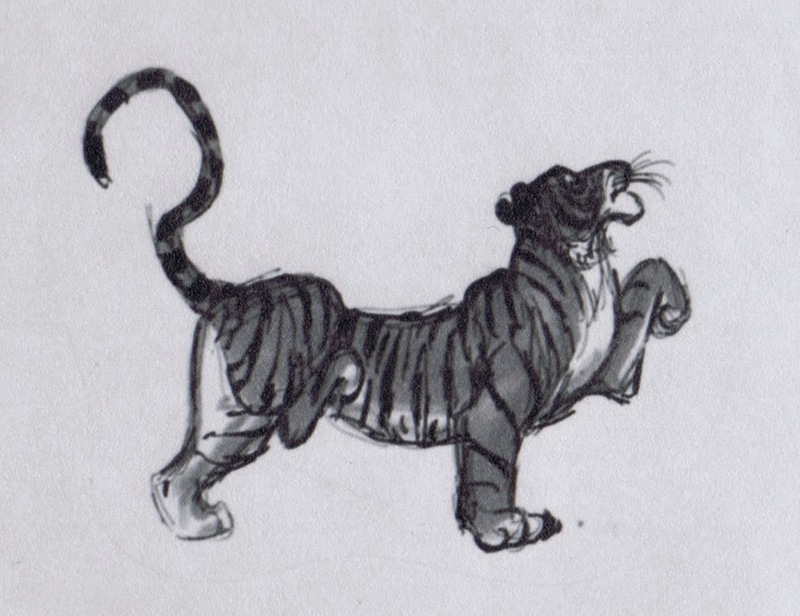 These are Ken’s design explorations. 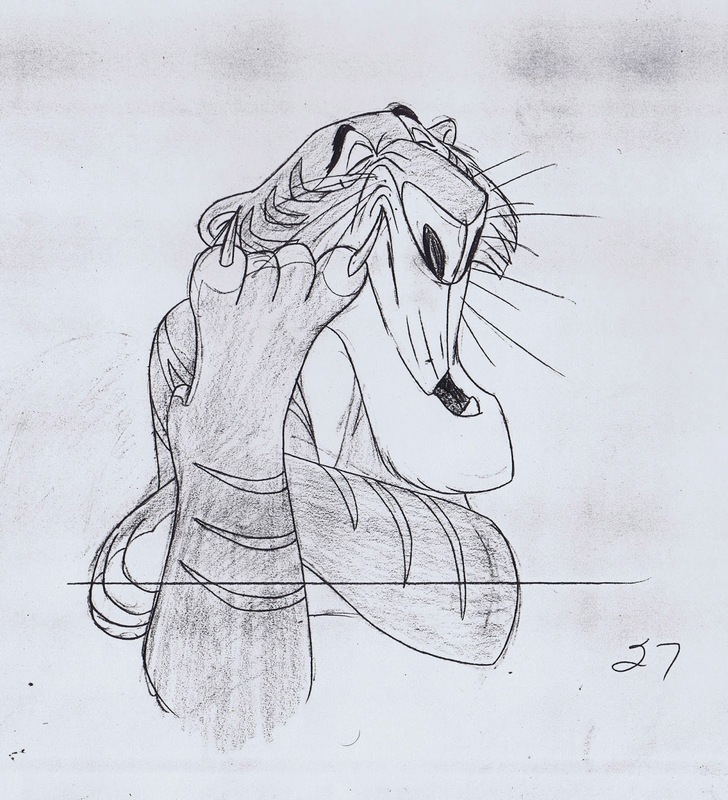 Milt studied George Sanders’ facial features and drew Shere Khan resembling the voice actor. 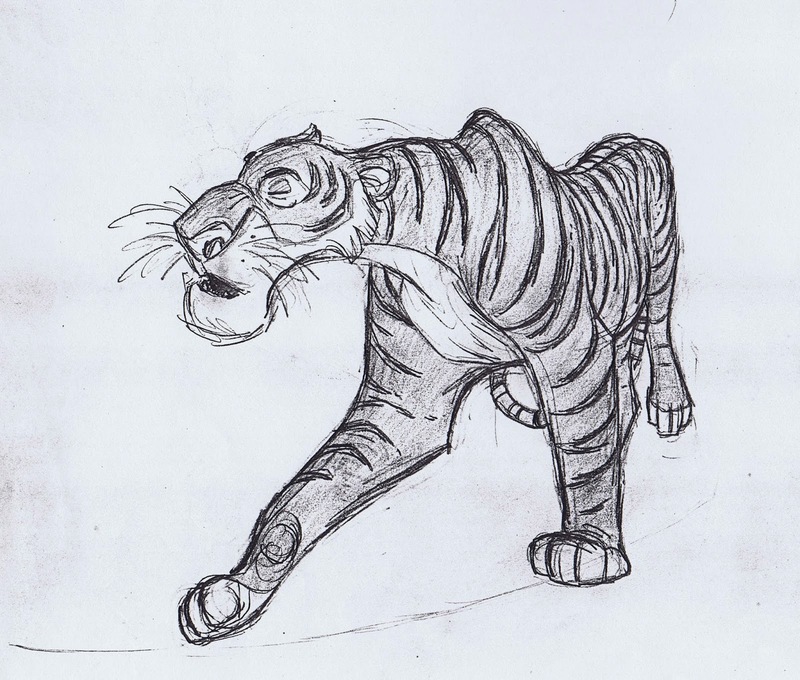 Animating the tiger turned out to be one of Milt’s favorite assignments. 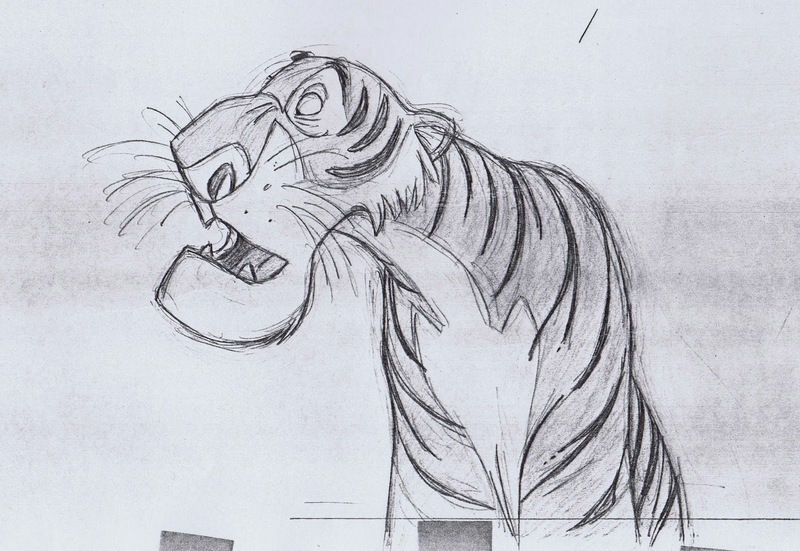 He was originally concerned though that Shere Khan turned up so late in the movie. 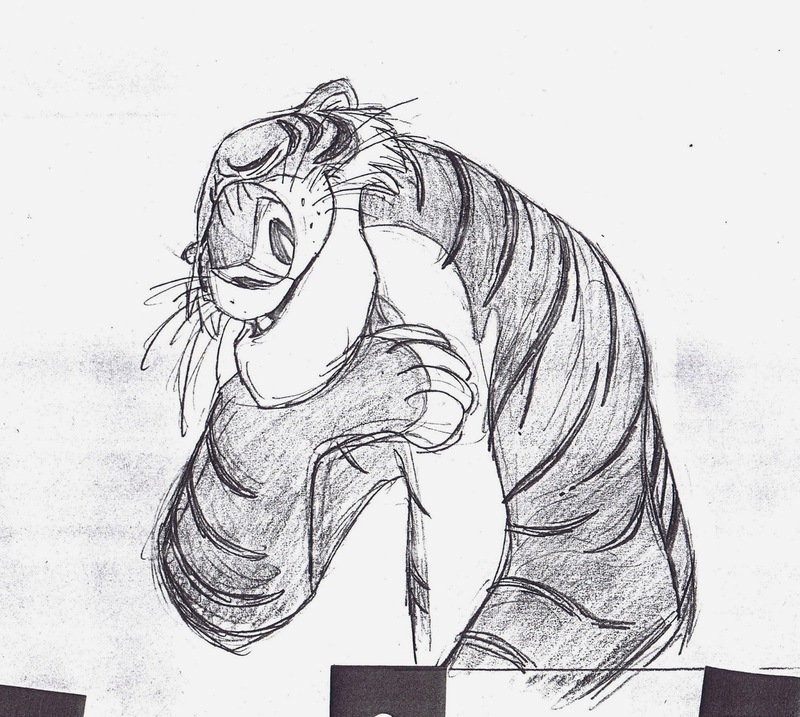 Walt petted Milt on the shoulder, assuring him that things would turn out alright. 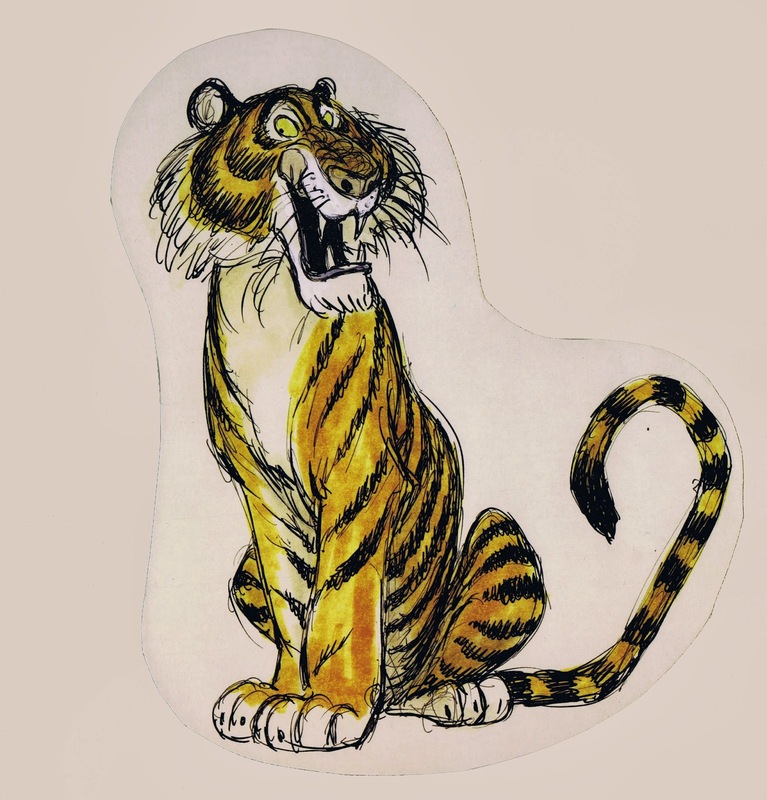 “You guys take care of the personalities, let me worry about the story.” (Milt recounted this episode during a 1984 interview). 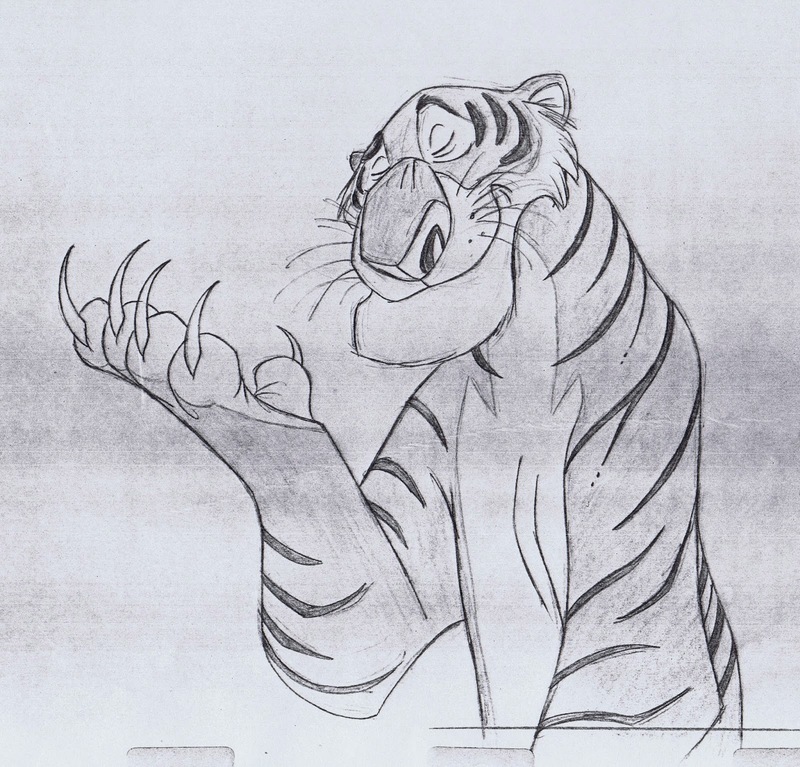 Before Walt died in1966 he did see Milt’s pencil animation of Shere Khan interrogating Kaa, the python, about Mowgli’s whereabouts. 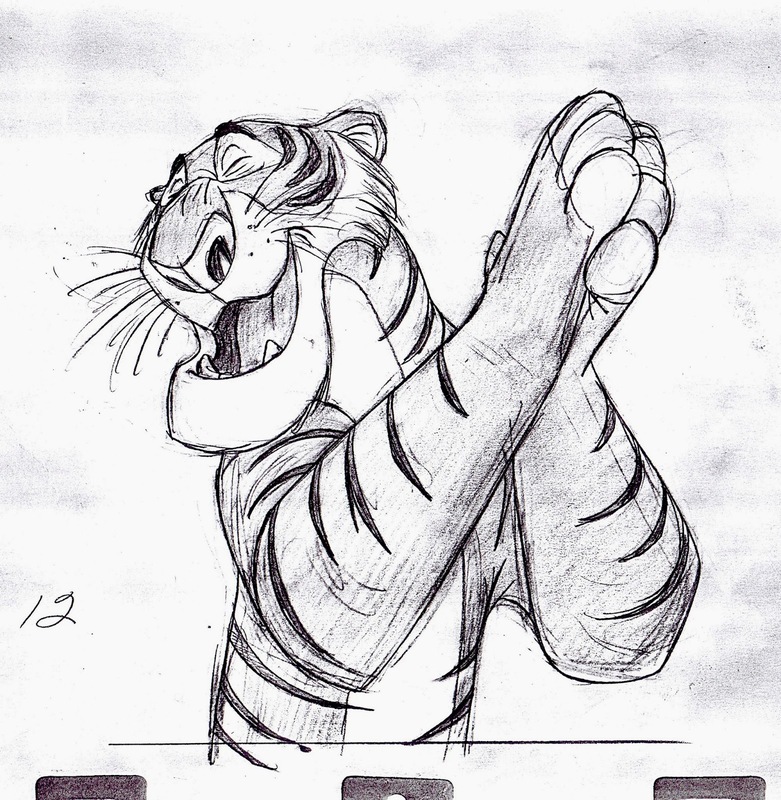 He liked it and approved the sequence for final color. 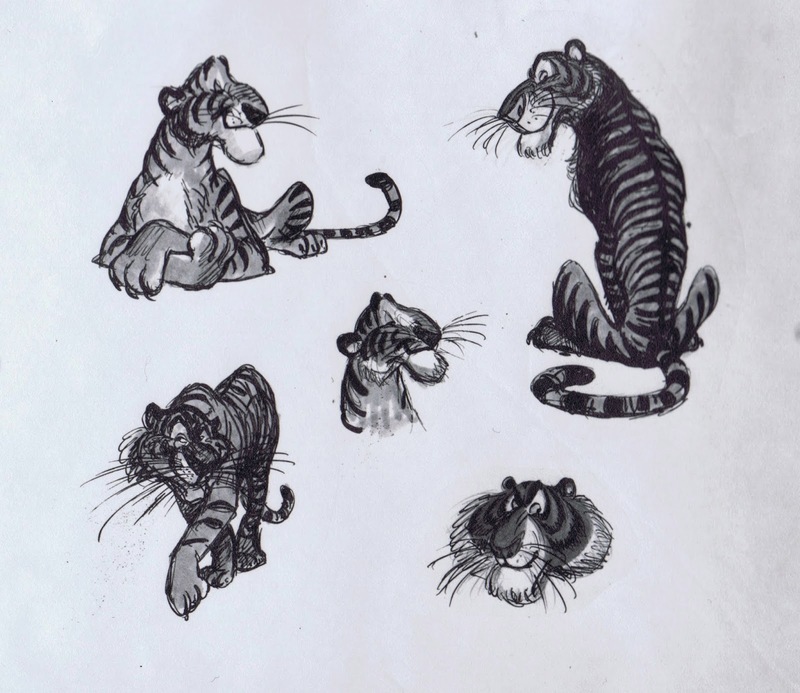 Here are a few Milt’s key drawings from various scenes. 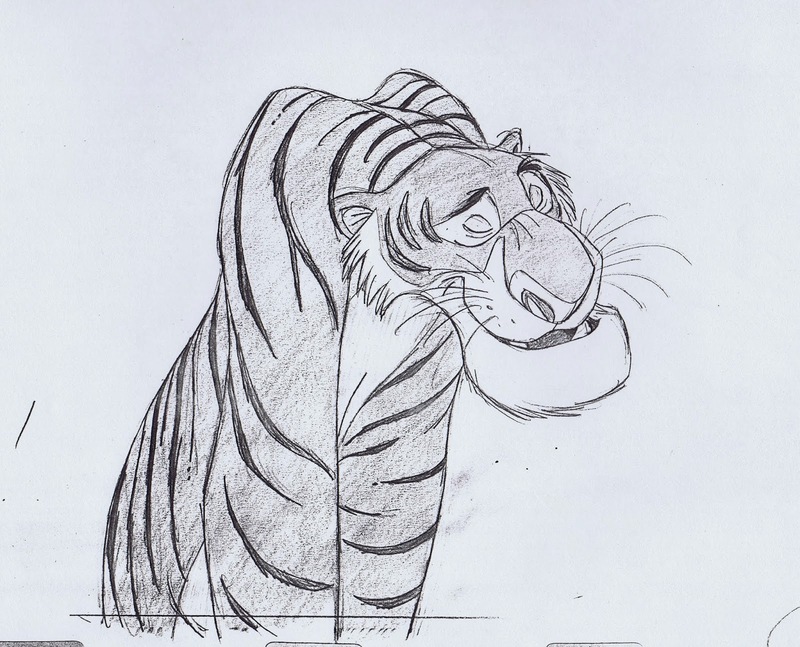 I think he reached a new personal level of excellence with Shere Khan. 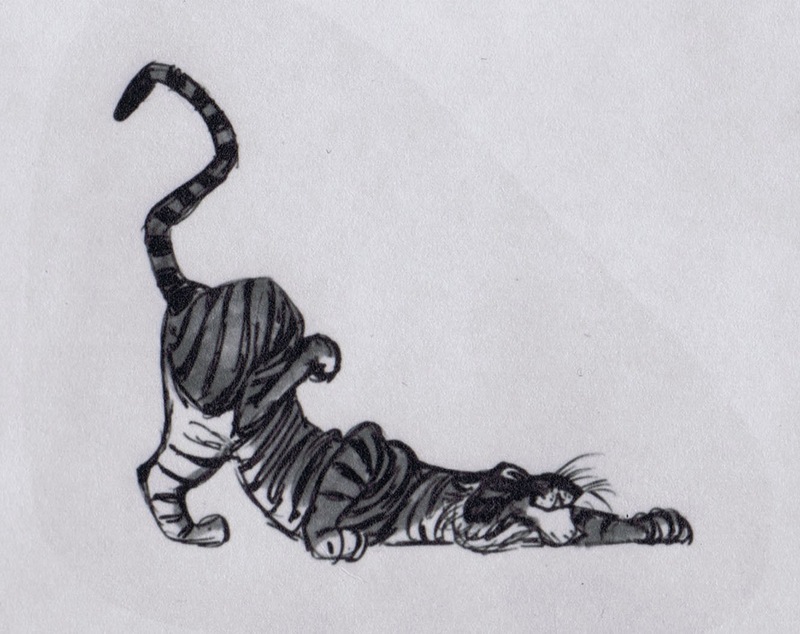 He invented new expressions, which gave great authenticity to the acting. 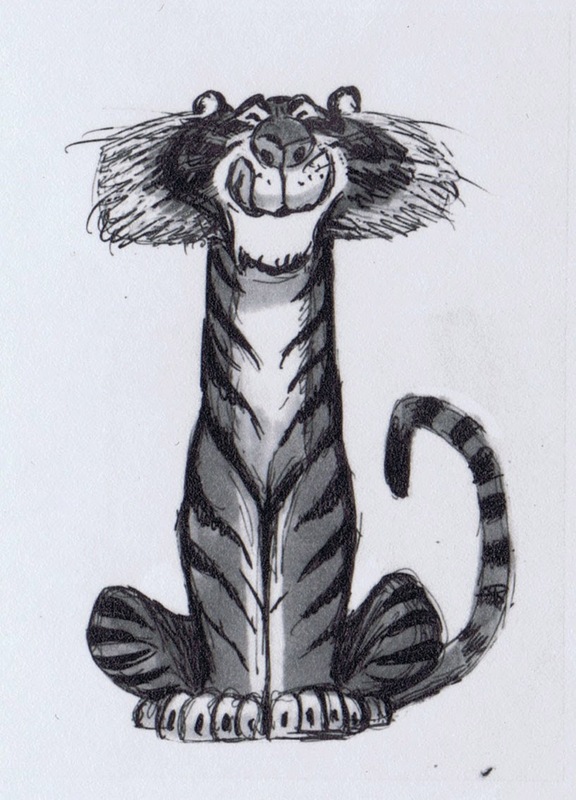 One for the ages!